Cheese on the shelf in the supermarket. Horizontal ( from right to left ) pan. 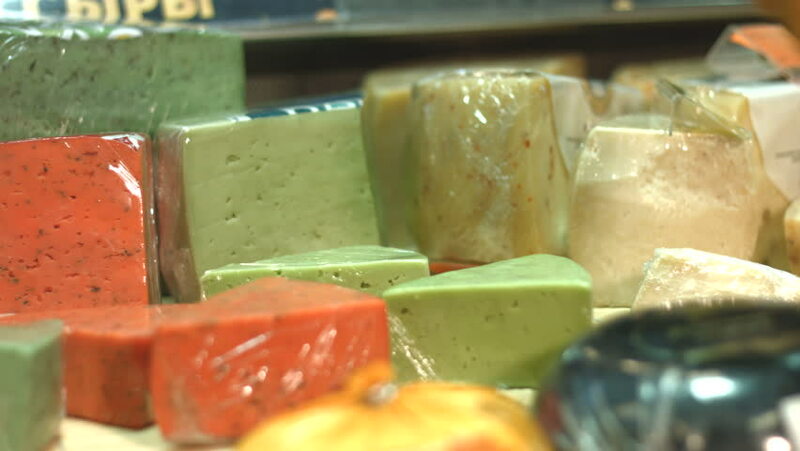 Large selection of different colored cheese. hd00:10egg drops into measuring glass of eggs. hd00:12Soda in the glass With kiwi fruit. hd00:07milk pours into measuring glass of eggs.